Whistle-blower, maybe. Hero, probably not. A sidewalk encounter with a friend drove home my conflicted feelings about Edward Snowden. The national-security leaker was surely a “narcissist,” he said, but Snowden was definitely “a hero.” And the more my friend talked about the reaction to Snowden, especially that of congressional Democrats, the more angry his own reaction appeared to become. Part of me wished I could work up that much passion for this self-professed champion of government transparency. Alas, I can’t. Hong Kong has not accepted a political defence against extradition since the handover in 1997. In the 1930s it turned down a bid by French authorities for Ho Chi Minh’s return to what was then IndoChina, in a case that went all the way to the privy council. More recently, in 1994, its courts stayed the extradition of the politician Jeffrey Kitigan to Malaysia. Guy Goodwin-Gill QC, a leading expert on extradition at Blackstone Chambers in London, noted that the international climate had changed, with offences that previously might have qualified – such as hijacking – no longer accepted as political. “The times are very much one of co-operation across a broad range of activities. You hardly ever find a state refusing extradition for political offences any longer,” he said. In the case of Snowden, “you certainly see political dimensions: you have members of the US senate or House of Representatives calling him a traitor – so they are building a very good case for another state to treat this as political,” added Goodwin-Gill. Of course, there are avenues for appeal through the courts in Hong Kong which could drag out the process for years according to some British legal experts. It remains unclear why he went to part of China when he was professing a wish to be free of surveillance. Edward Snowden’s claim that as systems administrator for a defense contractor in Hawaii he had the authority “to wiretap anyone, from you or your accountant to a federal judge to even the president,” just isn’t plausible, says a former national security lawyer at the Justice Department and Office of the Director of National Intelligence. We absolutely should know what our government is up to. And, according to The Post’s Walter Pincus, we’ve known about this for quite some time. “Was there any follow-up in the mainstream media to [James] Bamford’s disclosure, or anything close to the concerns voiced on Capitol Hill this past week? No,” Pincus writes in Tuesday’s paper. Still, that doesn’t mean we shouldn’t have a debate about what we now know and its appropriateness now that we know it. Eugene Robinson zeroes in on this in his Tuesday column. The NSA, it now seems clear, is assembling an unimaginably vast trove of communications data, and the bigger it gets, the more useful it is in enabling analysts to make predictions. It’s one thing if the NSA looks for patterns in the data that suggest a nascent overseas terrorist group or an imminent attack. It’s another thing altogether if the agency observes, say, patterns that suggest the birth of the next tea party or Occupy Wall Street movement. Is that paranoia? Then reassure me. Let’s talk about the big picture and decide, as citizens, whether we are comfortable with the direction our intelligence agencies are heading. And let’s remember that it was Snowden, not our elected officials, who opened this vital conversation. Yes, Snowden opened this conversation. But that’s as much credit as I’m willing to give him. That sounds about right. Let’s see if Congress talk about this without a lot of finger-pointing and hysteria. 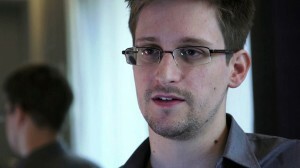 Should the result be changes to the Patriot Act, we can give Snowden a little piece of the credit. This entry was posted in Civil Liberties, Congress, Politics and tagged Edward Snowden, Eugene Robinson, Hong Kong, Jonathan Capehart, National Security Agency, Politics, Walter Pincus. Bookmark the permalink. He bragged about his work of being able to wiretap just about anyone, including the President….. that sounded so incredible to me. I think there’s something wrong with him, and the journalist who just seems to want a blockbuster news is as stupid as Snowden. Both are arrogant and narcisstic. I agree. After I wrote this someone asked why Snowden didn’t just take what he knew to one of the Senators like Wyden from Oregon, who is opposed to the scope of the Patriot Act. If he believes he did nothing wrong, why is he hiding in plain sight in China?